After the successful launch of Dosti Planet North – Phase 2 – Dosti Jade in FY 2018-19 which offered spacious 2 and 3 BHK homes. 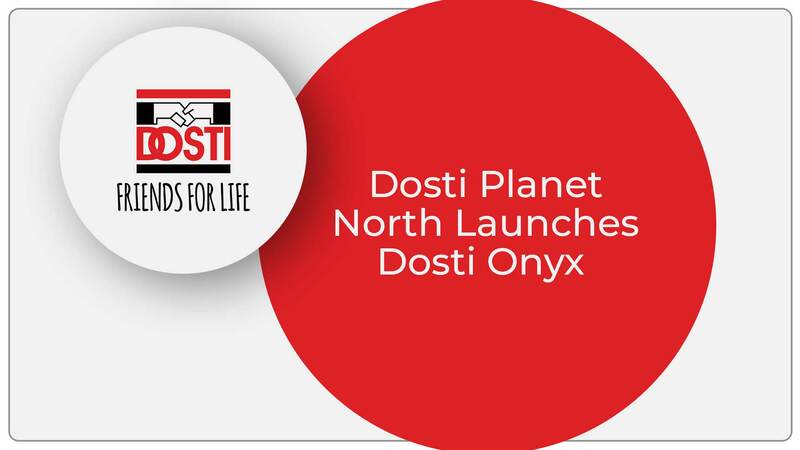 Dosti Realty, one of the realty majors in Mumbai, starts the new financial year FY 2019-20 with a bang with the announcement of their new tower Dosti Planet North – Phase 3 – Dosti Onyx in Shil-Thane. Dosti Planet North is a premium residential project situated at one of Thane’s rapidly growing locations, Shil Thane, the project offers a pleasant living experience with the advantage of convenience. Dosti Onyx offers 1 BHK and 2 BHK homes of various sizes as per the current needs and preferences of potential buyers ie economical and optimally designed so there is something for every budget. The 1 BHK endows buyers with home of approximately 34.52 – 40.91 sq.m (372-440 sq.ft) while the 2 BHK is approximately 58.93 sq.m (634 sq.ft.). The budget-friendly quotient is the focal point behind the concept and execution of this configuration for small and medium-sized families. Besides this, Dosti Planet North will come replete with an array of outdoor amenities that caters to every generation and user-friendly, these include a Multipurpose Lawn, Kids Play Area, Jogging Track, Multipurpose sports court, Cricket Area, Outdoor Gym, Amphitheatre, Skating Rink and Adventure Sports Area. In addition, there is also a luxurious private clubhouse* – Dosti Club Royale adjacent to the project which encompasses a host of lifestyle amenities to relax and re-energise one’s self. The private clubhouse* includes an indoor swimming pool & kids pool, gymnasium, multi-purpose room, table tennis, snooker, chess and carom room, squash court, steam room, jacuzzi room, restaurant and crèche to engage its users in a healthy and refreshing environment. This one-of-its-kind project will provide the residents with a pleasant and fulfilling living experience combined with the advantage of convenience. The project has the benefit of great connectivity to various parts of the city. The availability of retail shops within the Dosti Planet North complex will further easy convenience for residents with the privilege of availing their daily requirements within a short walk. Focusing on the aspect of ‘Walk to School’, the Dosti Foundation ICSE school which is also adjacent to Dosti Planet North will give residents of Dosti Planet North the option of availing a good education for their children just a stone’s throw away. Besides this, Kalsekar Hospital is just 3 mins away in case of an emergency and Xperia Mall is close by for the resident’s entertainment needs. The area is increasingly gaining popularity amongst the potential homebuyers owing to its closeness to a host of commercial/ industrial pockets in and around Shil Phata, such as Rabale, Mahape, Turbe and Taloja. These areas are home to numerous reputed companies and organizations. Thane, Thane- Belapur Road which is a focal point of commercial / IT / ITeS developments and Navi Mumbai locations like Airoli, Ghansoli, Vashi, etc which are established commercial/ industrial locations are also easily accessible. Shil Thane as a location is well-connected to various parts of the city via an exceptional network of roadways and railways. The proposed Mumbai – Airoli Tunnel and proposed elevated corridor connecting the Eastern Express Highway to Navi Mumbai will offer reduced travel time leading to hassle-free in the future. Moreover, the recently sanctioned additional two lanes proposed for the Shil Phata to Kalyan Road will further add to the connectivity of the area. Dosti Planet North – Phase 2 – Dosti Jade project has been registered under MahaRERA registration Number: P51700018165 , Dosti Planet North – Phase 3 – Dosti Onyx project has been registered under MahaRERA registration Number: P51700020162 and is available on website – https://maharerait.mahaonline.gov.in under registered projects. Please note that sale/lease of all premises in these projects shall be governed by agreement for sale/lease. This project is financed by Kotak Mahindra Investments Limited. *Dosti Club Royale is a private clubhouse. Right of admission is reserved by the promoter. Dosti Realty has been in the real estate business for over 3 decades and delivered more than 117 properties till date, providing homes to over 8,600+ families for over 42,700 residents. Encompassing a portfolio of 9.5 mn. sq. ft. Across Mumbai, the company has experience in various development types, be it Residential, Retail, IT Park etc. Over the years, it has been known for Aesthetics, Innovation, Quality, Timely Delivery, Trust and Transparency, Values that have built lasting relationships.